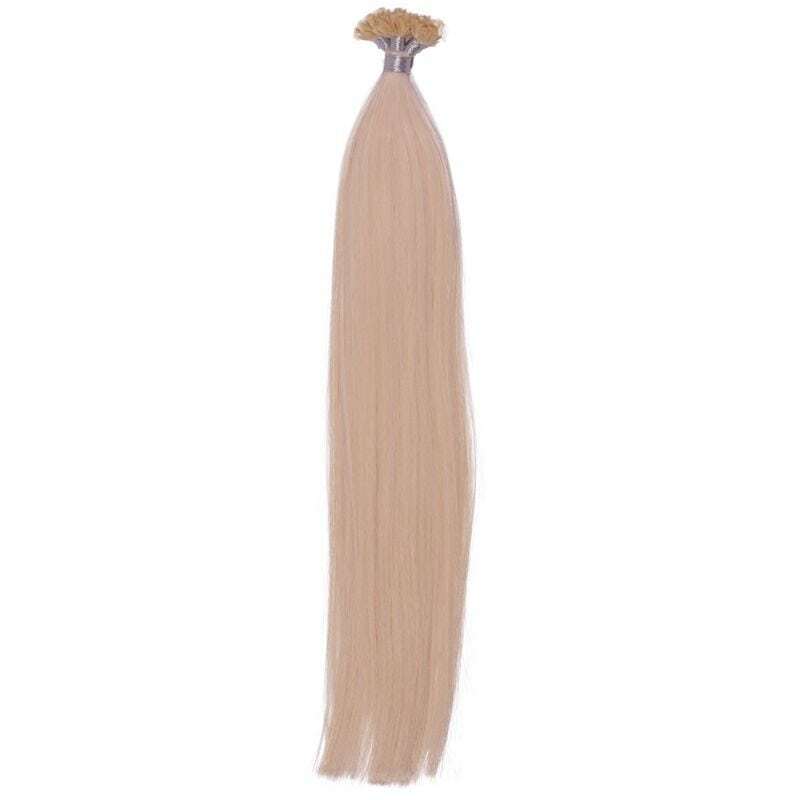 NEW to Dropship Bundles: Fusion Hair Extensions! We at Dropship Bundles are always looking for new ways to diversify our product inventory so that we can reach not just one specific target audience, but an audience from all types of backgrounds. We love catering to our predominantly African American women audience so much that we want to spread the love to women of different color and hair type as well. It’s important to embrace all types of hair roots whether you were born with thick and curly hair or fine/thin and straight hair. 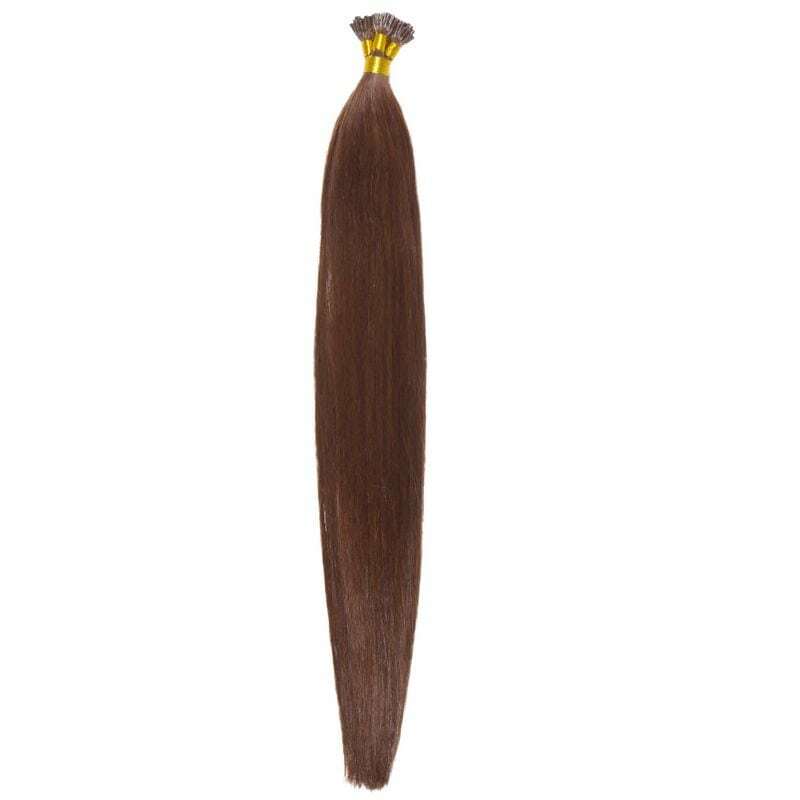 We think all hair is beautiful which is why we want to learn more about other hair extensions out there made for different types of hair. 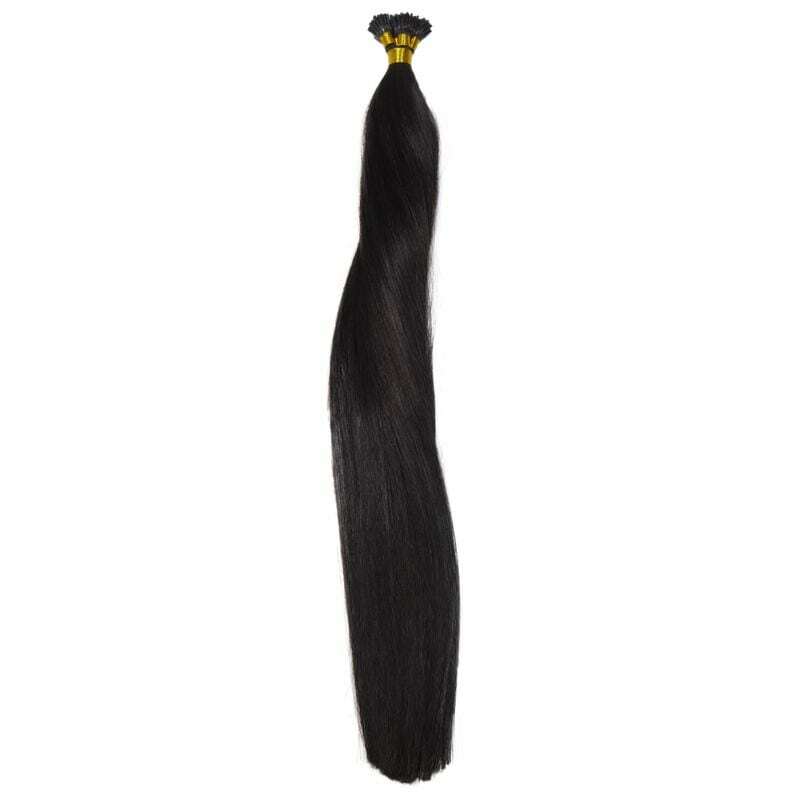 Fusion hair extensions are often seen worn by Caucasian/Asian/Indian women that generally have finer hair. 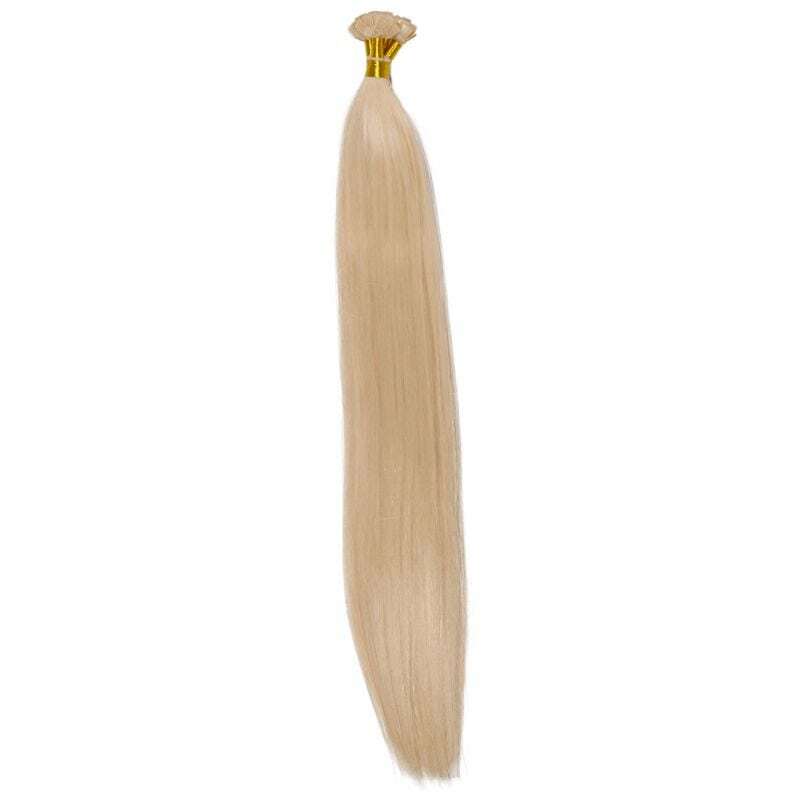 Fusion hair extensions are one of the most popular methods of professional hair extension attachment mainly because it’s the most traditional technique of installing extensions. 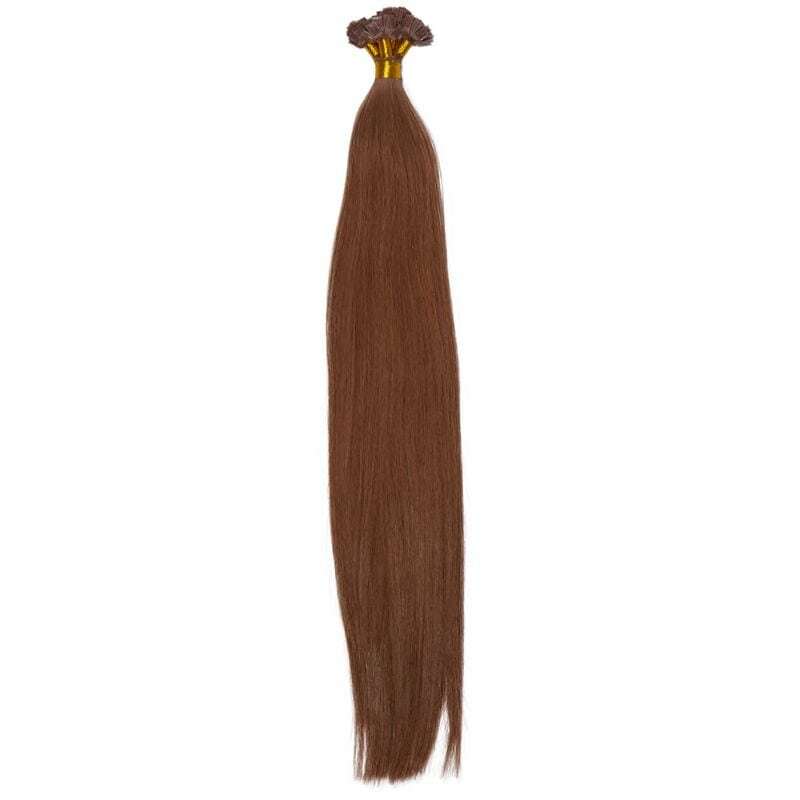 Fusion hair extensions come in strands of hair. 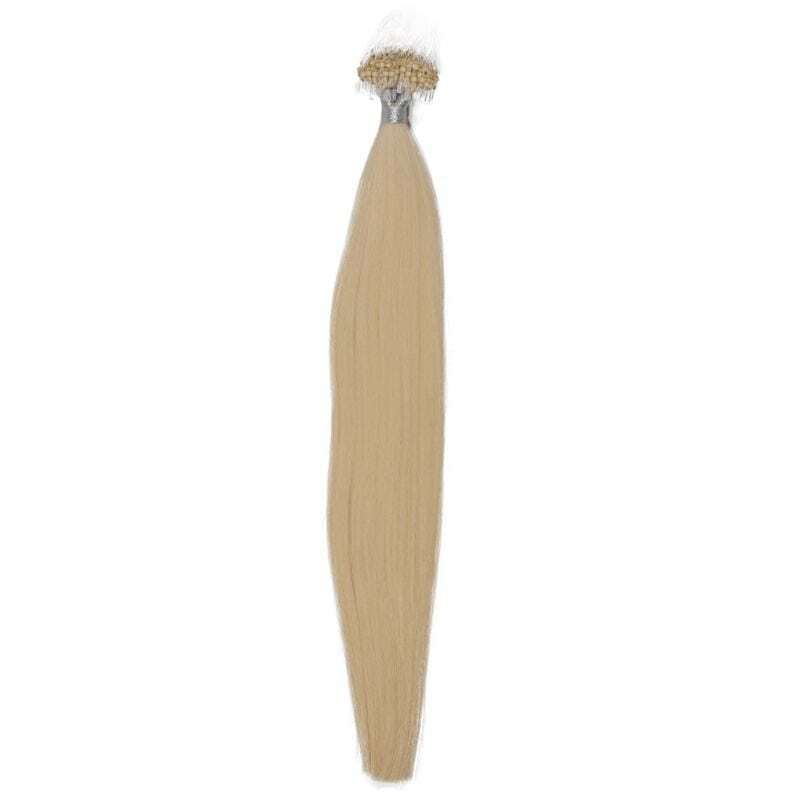 These individual strands of hair will help to ensure that the hair blends well and looks natural once the application is complete. 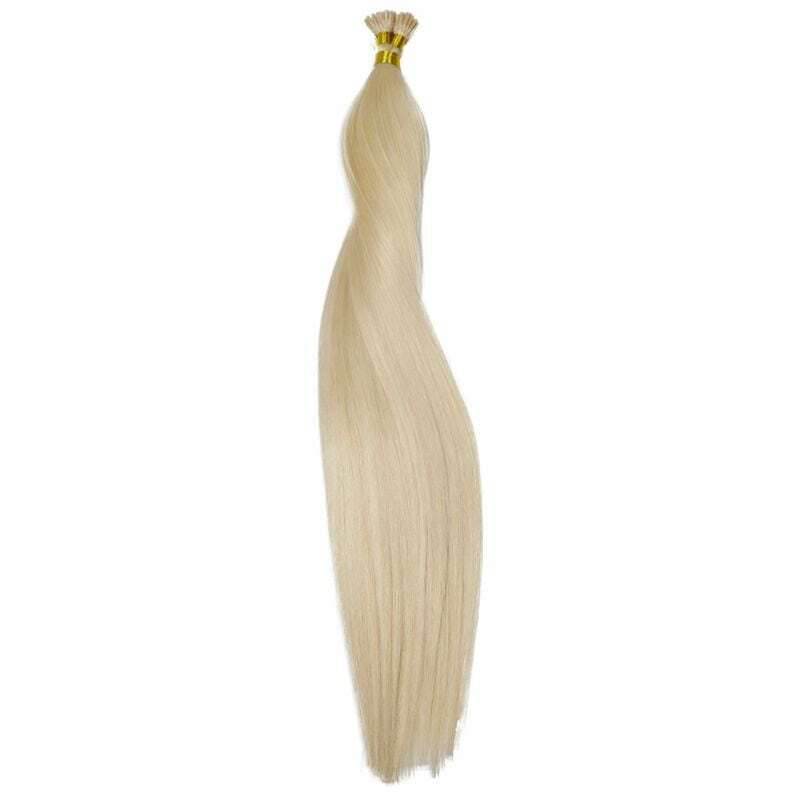 These extensions typically come in packs of 20 strands each. 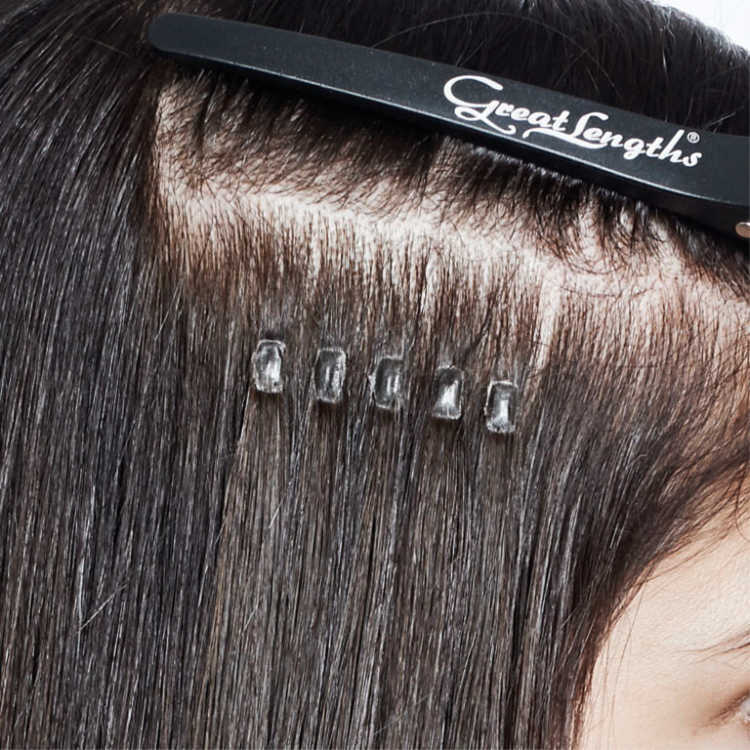 Each of these strands has a small, flat, square-shaped tip that holds all the individual hairs together. 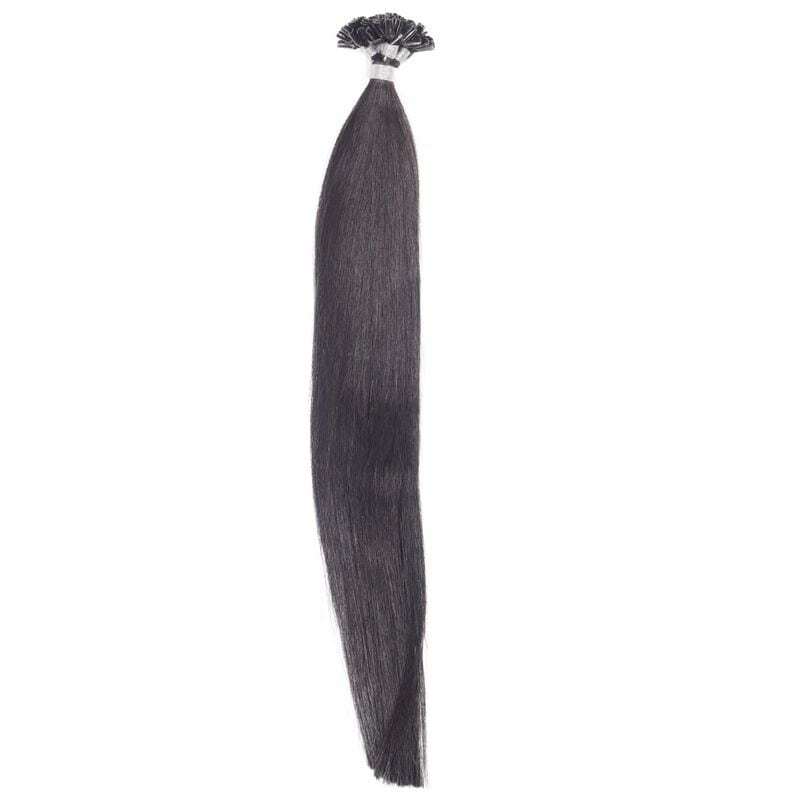 We offer a few Fusion extensions that have a U-tip, I-tip and micro-bead shape as well. Many women and hair stylists love Fusion because it’s trusted, natural, and long-lasting. 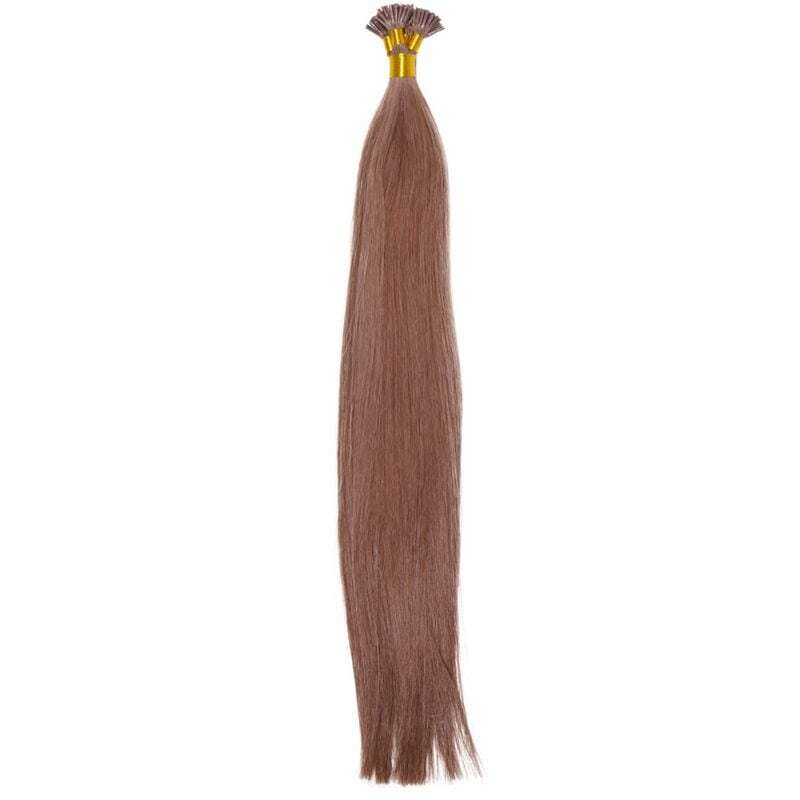 Fusion extensions can be identified by the keratin protein bond tip and heat application method that makes them unique. 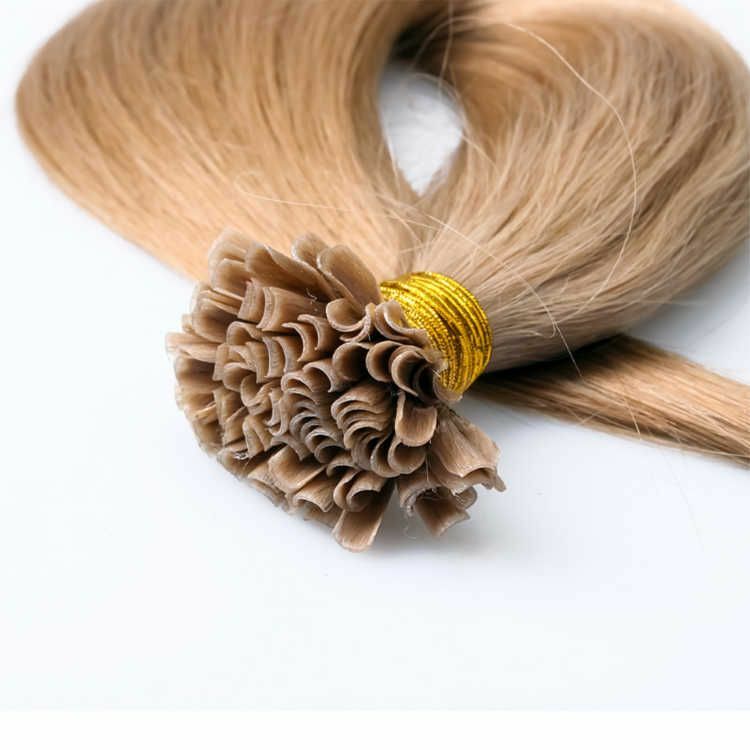 This tip is solid until melted with the Hair Extension Tool made explicitly for this process. 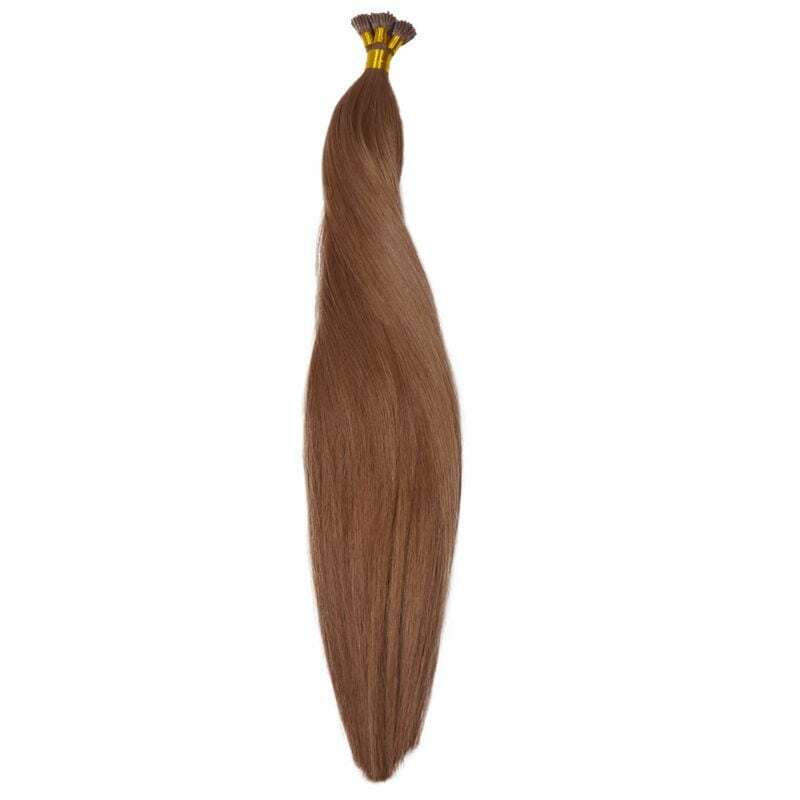 The stylist takes a small section of hair that is equal to the hair extension strand and places the bond over the section. The small plates at the end of the melting tool will melt and soften the bonds. The stylist would then use her fingers to mold and shape the melted keratin around the hair until she sees it is ready to be cooled. 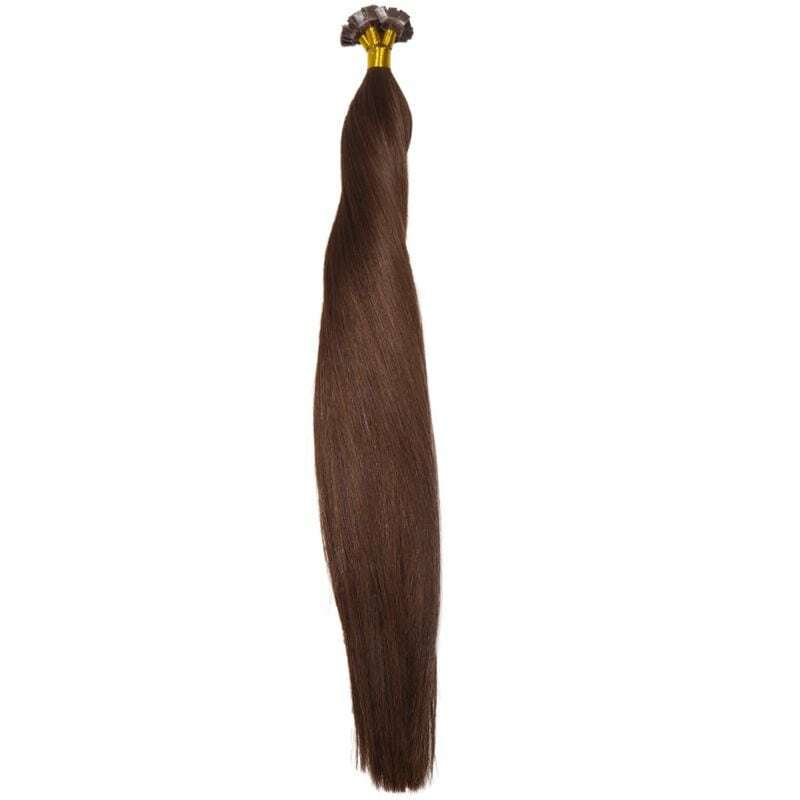 When it cools down, the keratin will harden again – creating a sealed and durable bond. 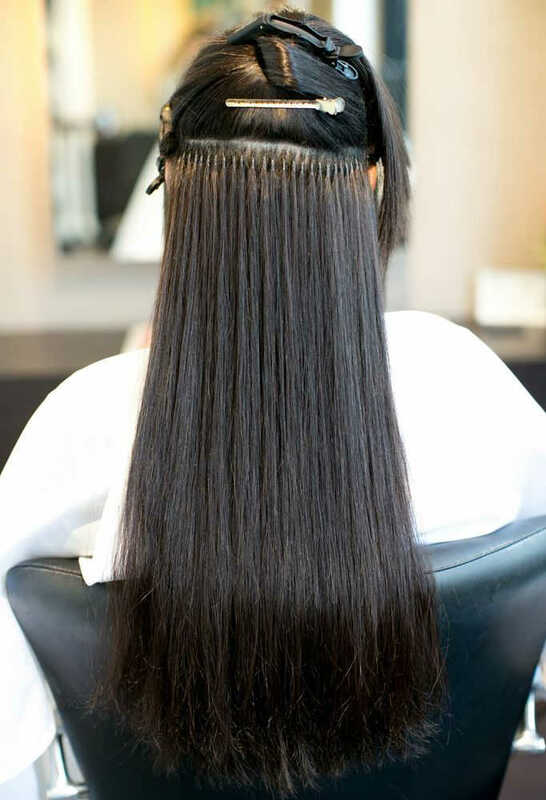 Stylists will typically start at the base of the head and work their way from the sides and the back of the head, attaching the bonds strand by strand and row by row. 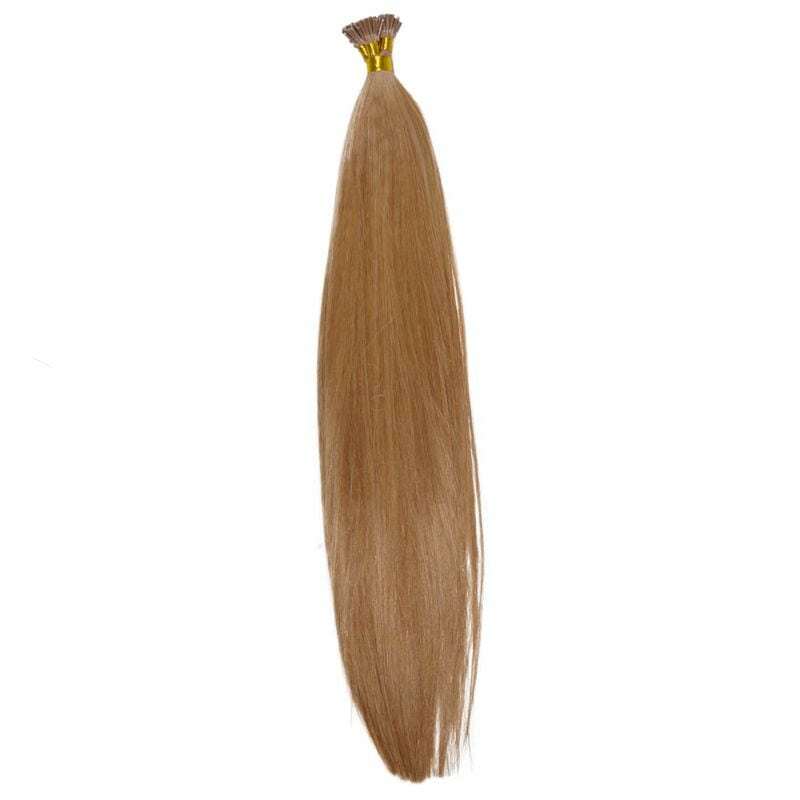 Once the application is finished, the bonds will lie completely flat against the head and are covered by the upper layers of hair. This is what gives it that seamless and blended look. 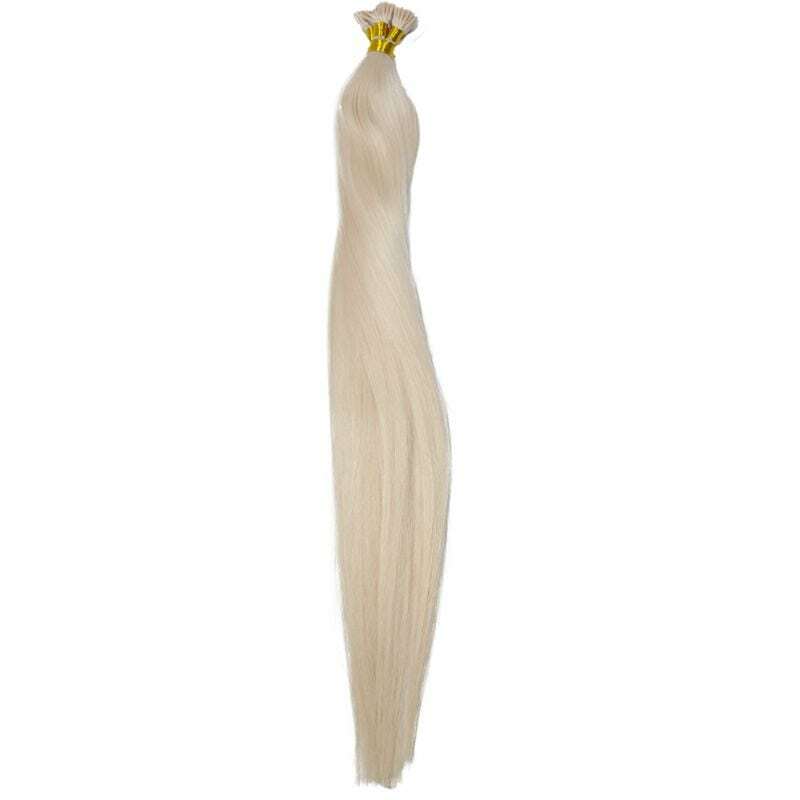 Something we all strive to achieve when wearing hair extensions, right? 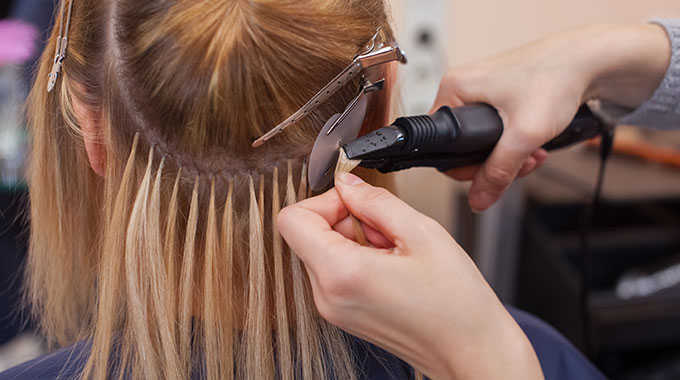 Plus, with the help of your stylist, she will make it look as natural as possible after she has installed and styled your new Fusion extensions! 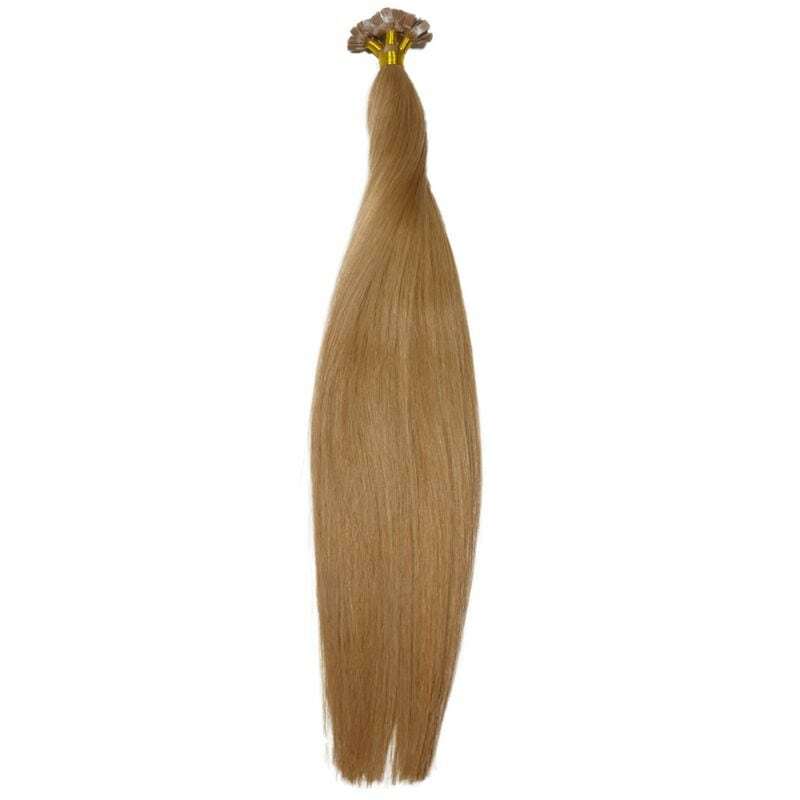 Fusion hair extensions can last for about three to six months. 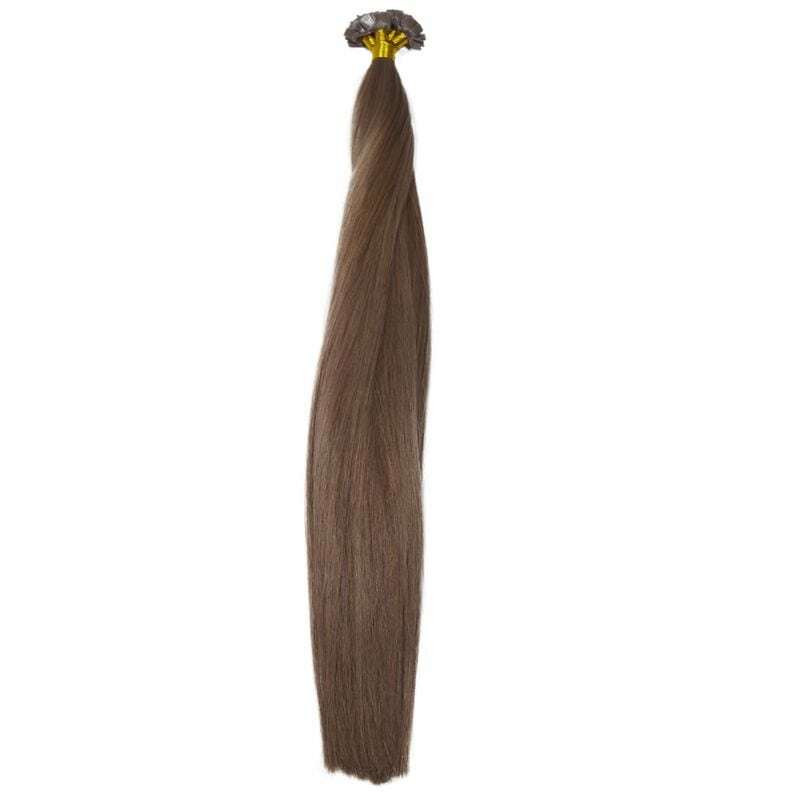 As your hair will grow as it normally does, the bond and hair extension will continue moving further and further away from the scalp the more your hair grows. That’s why it’s important to go in for touch-ups every few weeks so your stylist can adjust the bonds by removing them and re-applying them closer to the scalp! 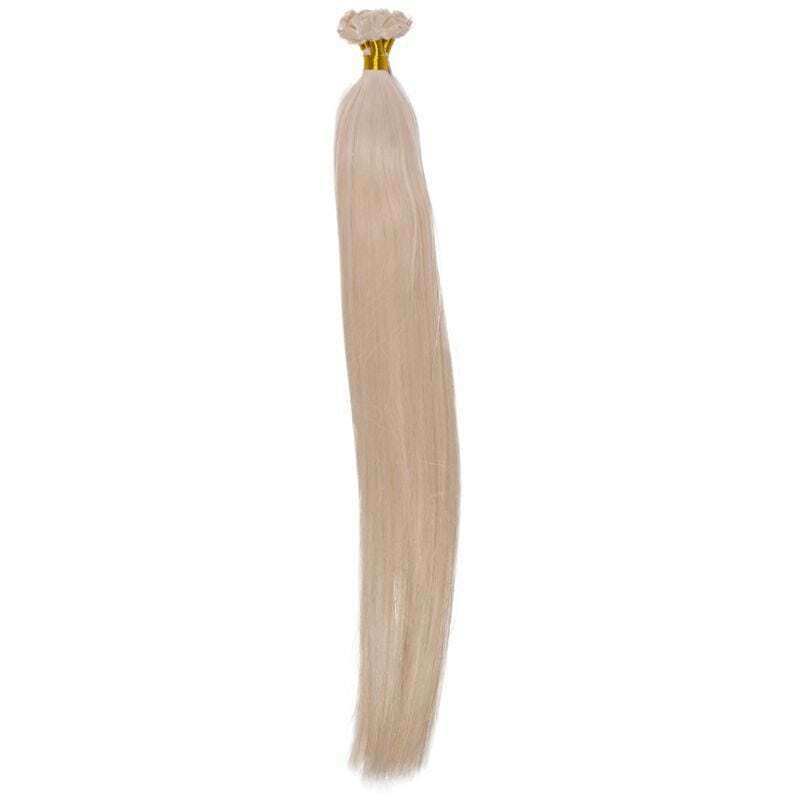 Our Fusion hair extensions are currently offered in 8 gorgeous colors with a variety of different tips like the flat-tip, U-tip, I-tip, and micro-bead. 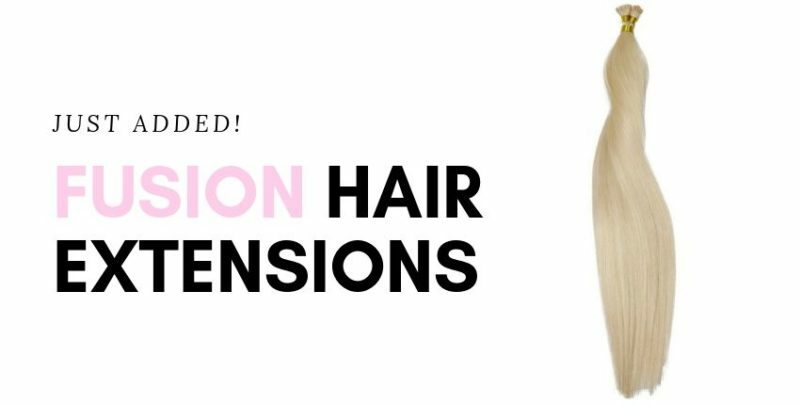 If you’re a Dropship member looking to expand their product inventory to a broader target market, then our new Fusion hair extensions are waiting for you to be added to your online business! 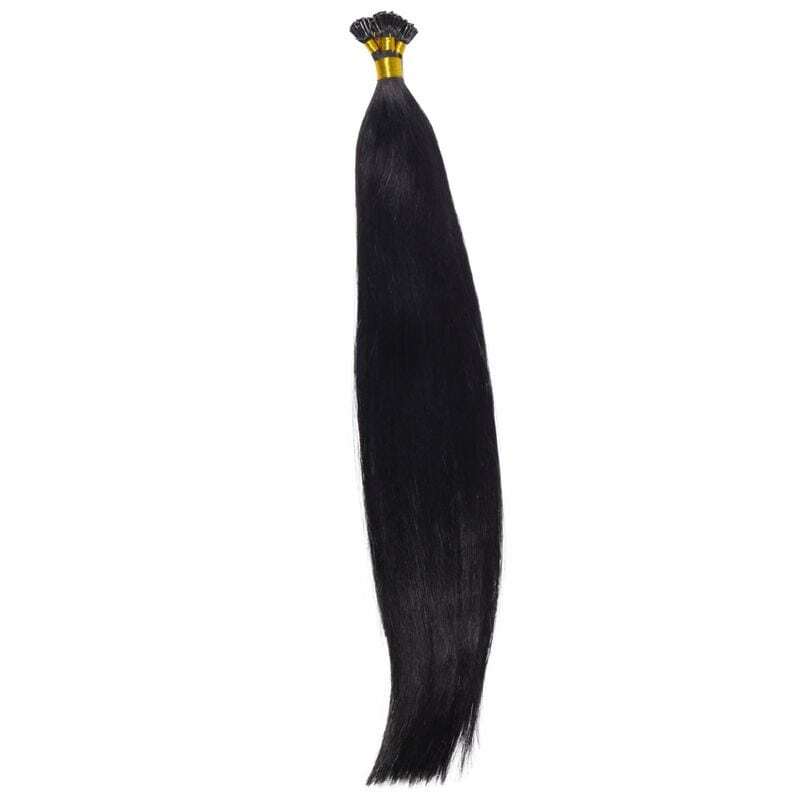 There’s nothing wrong with expanding your product inventory and reaching a bigger audience because diversity is what makes your hair brand even more appealing. 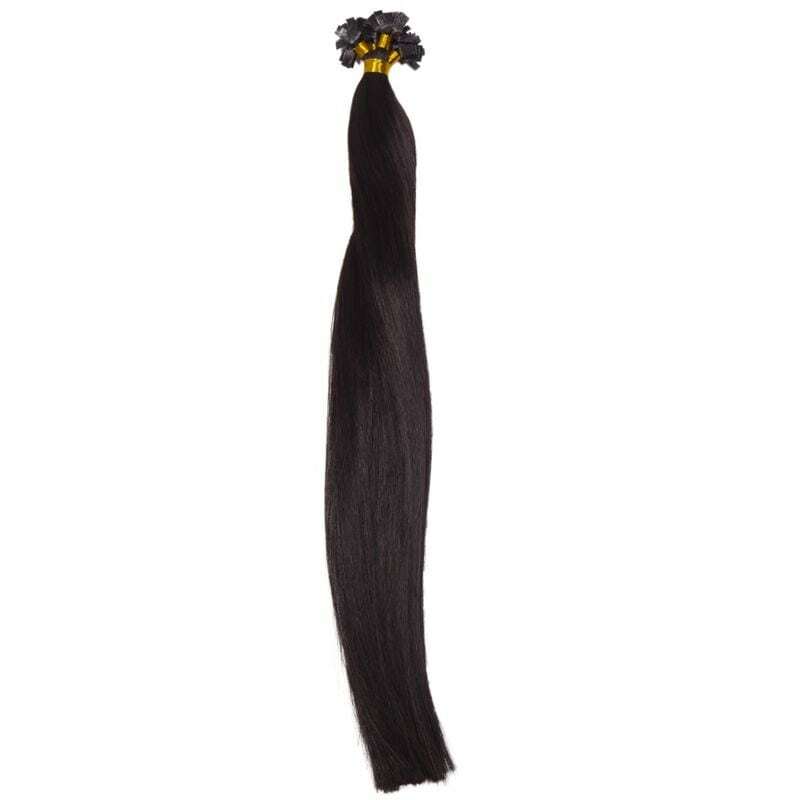 You may have already had some clients in mind that you think you would definitely love the Fusion hair, or your clients may have friends and family that would like them also. 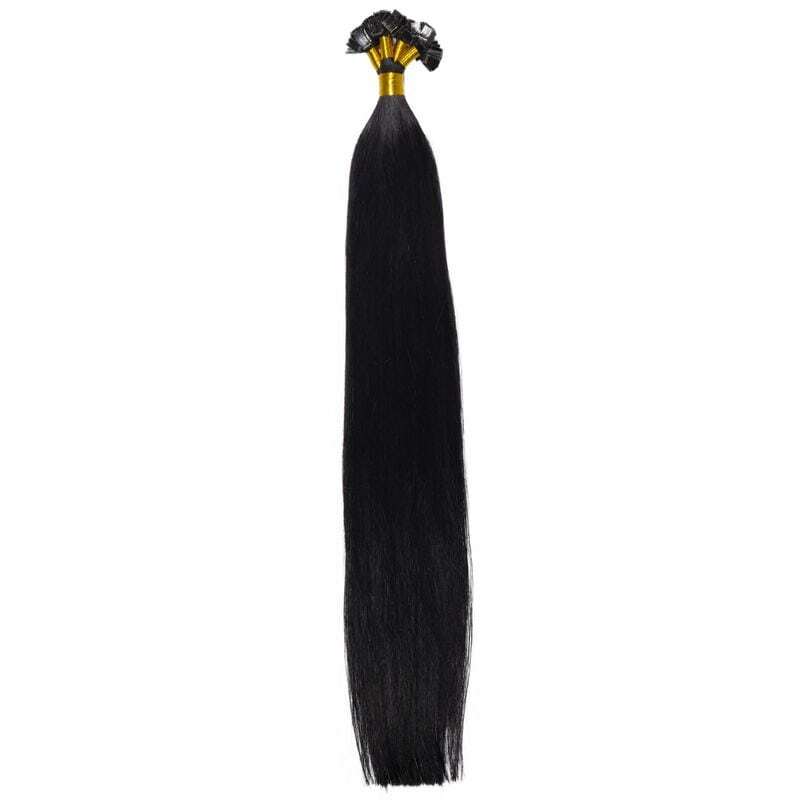 The biggest your audience, the more traffic, and revenue will generate towards your hair business. The new Fusion hair wave is on the rise, and, you should hop on it!